Samantha Grant is writing a tell-all book about growing up with Markle. 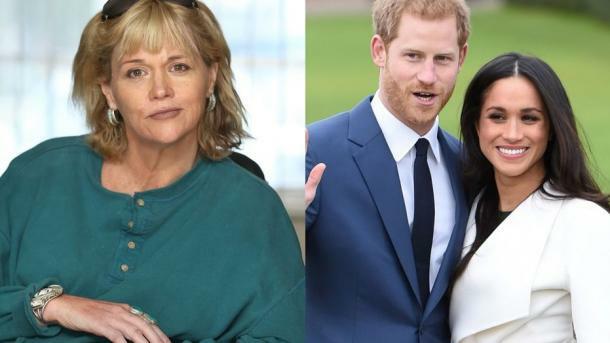 Meghan Markle's half-sister is speaking out against the claim that the future member of the royal family had a bad childhood. In a recent interview with BBC Radio 4, Prince Harry made some comments about his fiancee's family that apparently rubbed her half-sister Samantha Grant the wrong way. "There's always that family part of Christmas [where] there's always that work element there as well," he said, "and I think together we had an amazing time... [Meghan's] getting in there and it's the family I suppose that she's never had." Grant, who shares a father with the Suits actress, disputed the claim on Twitter. "Actually she has a large family who were always there with her and for her. Our household was very normal and when dad and Doria divorced, we all made it so it was like she had two houses. No one was estranged, she was just too busy. Read my book complete with facts and photos," she wrote in one tweet. "She has a large family. She always did. Our dad is amazing and completely self sacrificing. We made it so that she had two houses. How fun it was," she said in another." Markle's mother, Doria Ragland, and her father, Tom Markle, divorced when the actress was 6 years old. She has another half-sibling, Thomas Markle Grant. Prince Harry's fiancee reportedly has an estranged relationship with Grant, which Grant plans to address in her upcoming tell-all book. "Hollywood has changed her," she wrote. "I think her ambition is to become a princess. The truth about her would kill her relationship with Prince Harry. Grant and Markle have reportedly been estranged since 2008. That same year, Grant was diagnosed with multiple sclerosis, which has left her wheelchair-bound. She's hinted that her disease was the cause of their estrangement. "I didn't feel a separation from her until I was in the wheelchair," she said. This isn't the first time Grant has spoken out against Markle, and it will likely not be the last. "Her behavior is certainly not befitting of a royal family member," she said. "The royal family would be appalled by what she's done to her own family."